MALDIVES: Maldivian Member of Parliament (MP) Abdulla Shahid on Thursday alleged President Abdulla Yameen of inciting violence. 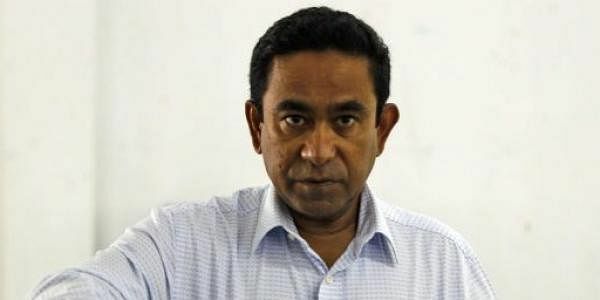 Shahid on Twitter said, "President Yameen speaking to his supporters last night incited them to violence by telling them that he believed they would have killed & slaughtered the opposition if he had obeyed the SC Ruling of 1st Feb. We have a THUG not a President! #MaldivesInCrisis #StateOfEmergencyMV"
"Parliament under military siege in #Maldives parliament today members were thrown out of the parliament building compound," Maldivian Democratic Party (MDP) Thilafaiy tweeted.